The Dr Shezad Malik Law Firm helps folks get the recovery they need after being involved in an Oil and Gas work related accidents. Have you or a loved one suffered a personal injury in an oil or gas industry accident? Have you lost a family member due to wrongful death caused by this type of accident? At The Dr Shezad Malik Law Firm, we mean business when it comes to getting fair compensation for accident victims. The Dr Shezad Malik Law Firm represents people who have been hurt while working on drilling operations, oil or natural gas explosions while working on a pipeline, or who were simply involved in an accident while working at an oil field. Oil industry workers face extremely hazardous working conditions. Roughnecks work long hours-often 72 hours at a stretch-to get the oil out or the gas in. Drug testing isn't common, but drug use is as workers struggle to stay awake. Basic safety precautions are often overlooked by employers, contractors, and subcontractors. If you or a family member has been injured because of unsafe or preventable conditions, poor equipment, or other hazardous conditions, the injured person may be entitled to compensation for injuries. An oilfield accident injury claim may involve a subcontractor, a government entity, an equipment manufacturer, or another third party. In you have been injured in a natural gas or oilfield accident, our law firm has the experience it takes to help you make a claim for medical expenses, lost wages, and pain and suffering. If a loved one has suffered a fatal accident in an oilfield accident, ask our personal injury lawyers about filing a wrongful death claim against those responsible for the conditions that caused the accident. Due to the dangerous environment of the average Oil and Gas work site, it is expected that a construction accident can result in death. Common causes of Oil and Gas construction site deaths are heavy machinery accidents, falling accidents, crushing accidents, and exposure to toxic chemicals, explosive chemicals, or electricity. When an Oil and Gas construction accident results in death, it is imperative for the family of the deceased to hire an attorney immediately. Oil and Gas Work sites rarely stay still for long. In an environment that changes rapidly, it is crucial for an attorney to be brought in as soon as possible, so that the attorney can secure the site in order to preserve the evidence. Oil and gas work can endanger more than just the people doing the work. With modern directional drilling equipment, drilling can be going on underneath anyone's feet. And of course, pipelines are everywhere. 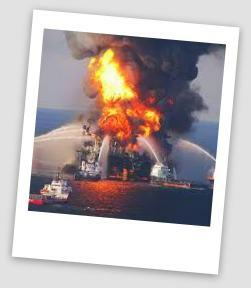 The Dr Shezad Malik Law Firm represents all people who have been hurt in oil and gas accidents. We will help you pursue the results you need. The Dr Shezad Malik Law Firm is a full-service personal injury law firm handling a wide variety of claims. If you or a family member has been injured because of the fault of someone else; by negligence, personal injury, slip and fall, car accident, medical malpractice, trucking accident, drunk driving, dangerous and defective drugs, bad product, toxic injury etc then please contact the Dallas Fort Worth Texas Oil and Gas Personal Injury Attorney Dr. Shezad Malik. For a no obligation, free case analysis, please call 888-210-9693 ext. 2 or 214-390-3189 or Contact Me Online. Our law firm’s principal office is in Dallas and we have offices in Fort Worth, Texas, and we represent people across Texas, for Personal Injury and Wrongful Death.